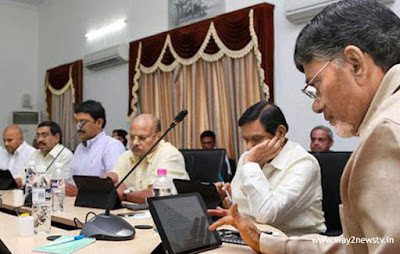 The AP Cabinet has gave approval to the animation, visual effects, gaming and comics policy.Several key decisions were taken at the AP ministerial meeting chaired by Chief Minister Chandrababu Naidu. The policy will be designed to attract Rs. 6400 crore investment by 2020. Animation and Gaming City will be set up in 40 acres in Visakhapatnam.The policy is aimed at attracting the best of companies in animation, visual effects, gaming and comics. Approximately policy will have to attracting around Rs 6,400 crore investment by 2020.Facilitating infrastructure, visual effects, gaming and comics, and going to give training to young women and young people. Gaming, animation, media and entertainment parks will be set up in various parts of the state. The Cabinet has approved a 50% State GST subsidy for Telugu, Hindi and English animation films with a budget of less than Rs 5 crore constructed in Andhra Pradesh. In addition to IT Policy, an additional subsidy is available. 5 lakh production cost discount. This subsidy is only for the first two films. Similarly, 25-35 per cent discount on hardware, 24/7 power supply and 2 rupees per unit. The Aqua Policy has also been approved by the cabinet. 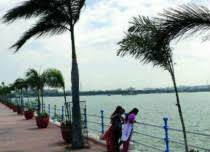 The decision to establish aqua zones in nine districts of coastal Andhra.